One of the most important things about trip planning is knowing the Tokyo Disneyland ride closures. 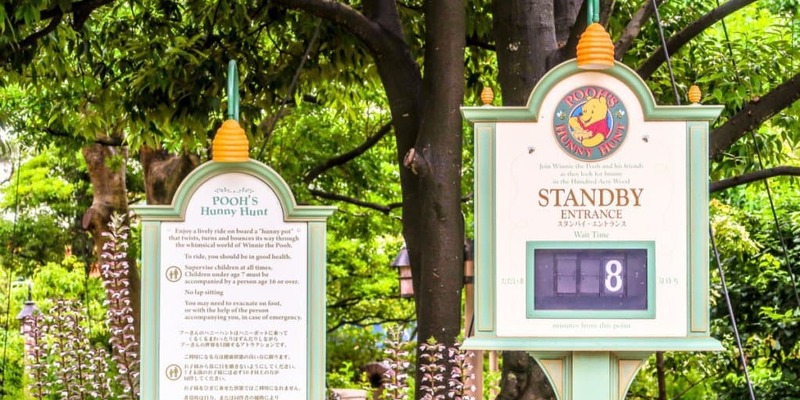 Traveling all the way to Tokyo Disneyland to only find out Pooh’s Hunny Hunt is closed is the worst feeling. Or that stomach-dropping devastation when you see Journey to the Center of the Earth is under refurbishment. This is where our Tokyo Disneyland & Tokyo DisneySea Ride Closures Calendar comes in handy. It’ll help you make sure you don’t accidentally plan a trip on a day where an attraction or show is closed. Pooh’s Hunny Hunt at Tokyo Disneyland! 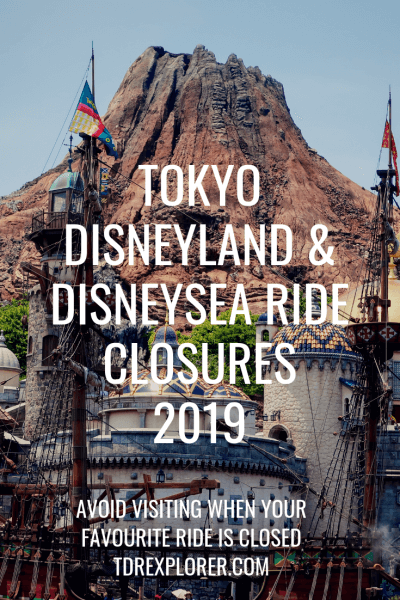 This is a list of Tokyo Disney Resort ride closures for 2019 (including entertainment). Always double-check the official website for the most up-to-date information, which is subject to change without notice. Finally, keep in mind that Tokyo Disney Resort sticks to this schedule, which means you won’t see attractions open before the date indicated. Here’s a look at the Tokyo Disney Resort ride closures for 2019. As of April 2019, the closure schedule only goes up to October 2019. We’ll expect the rest of the schedule to come out in the next few months. Typically, Tokyo Disney Resort ride closures for the first half of the following year come out around November. 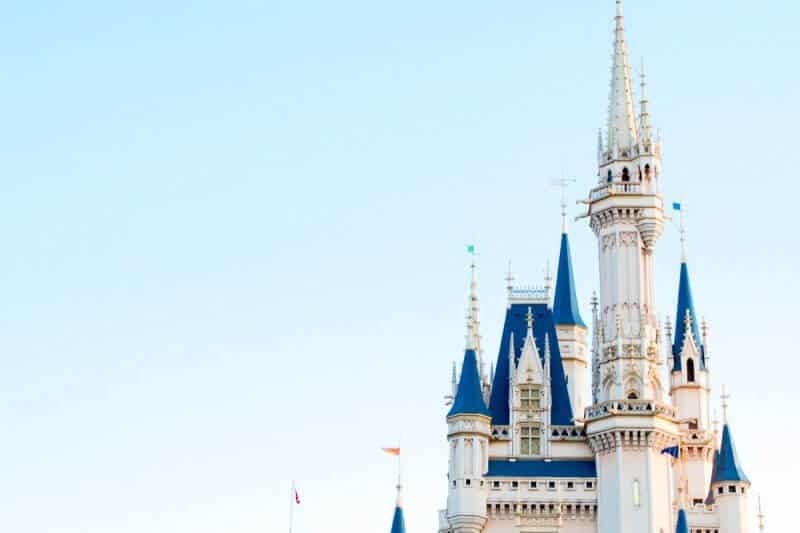 Update: Part of Cinderella Castle will undergo construction work from October 1, 2019, to early April 2020. Read more. If you’re visiting in April, then keep in mind the closure for Pooh’s Hunny Hunt. It’s one of the best rides at Tokyo Disneyland and I don’t want you to miss it. The unique-to-Tokyo Monsters, Inc. Ride & Go Seek! is closed in July, too. The most notable closure is the new daytime parade “Dreaming Up!” is not performing in April and the beginning of May. For those Explorers visiting the end in February, take note that Indiana Jones is down during those months (a popular attraction). Sindbad’s Storybook Voyage is closed throughout July and into August. Update: Views of DisneySea’s volcano, Mount Prometheus, may be affected by construction work from March 31, 2019, until late October 2020. Read more. April 1, 2019, is the last day to see “Out of Shadowland.” After that, the show is replaced with a brand new show called “Song of Mirage” in the summer. We hope this helps you plan your schedule to avoid disappointment during your trip. We don’t want that! 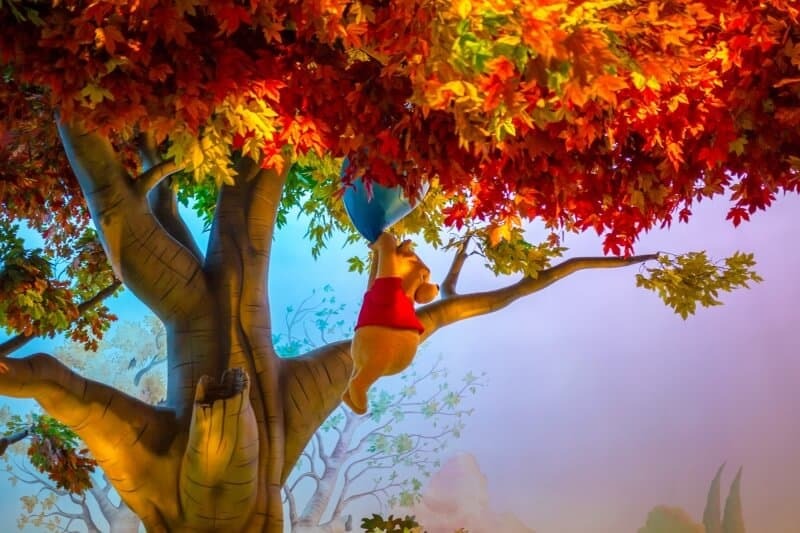 Chris, if you had the option of travel in April 2019 when Pooh’s Honey Hunt is closed, or May when Critter Country and most of Westernland is closed, which would you choose (with both potential travel periods mid week and avoiding peak times). I’d visit in May. Pooh’s Hunny Hunt is one of their best attractions and it’s unique to Tokyo Disneyland. Is that a single day that the Country Bear Jamboree is closed, or a closed indefinitely? Please say the former! I would cry if we lost the TDR bears! Appreciate your opinion Chris, thanks. I’ve changed my booking to May! Is it common, that the Ride Schedules stay CLOSED for the entire duration of the date specified? Or do they on occasion, open back up EARLIER that what might be scheduled?